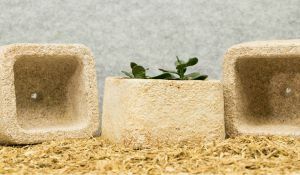 Ecovative, the startup that makes biodegradable packaging for furniture seller IKEA, says that the same mushroom roots it uses to pack up tables and chairs could be used to create the next generation of delicious lab-grown meats. “This is the next natural step in this evolution to use natural products to make things,” said co-founder Eben Bayer, in an interview with Business Insider. The problem Ecovative wants to solve, Bayer told Business Insider, is that while many lab-grown meat startups have succeeded in growing individual cells from livestock into sausages and burgers, they’ve struggled to recreate the complex anatomy of a chicken breast or a fatty steak. That’s where Bayer thinks his company’s mycelium, or mushroom roots, could help. Using a formula similar to the mixture of mycelium and discarded farm materials it’s turned into green packaging for IKEA and Dell, he said that Ecovative has created a “scaffold” that lets meat cells grow into ropes of muscle and layers of succulent fat. The carbon emissions of farm-grown meat are colossal. A tasty lab-grown meat with a low carbon footprint could be a game changer — not just for your dinner plate, but for the future of the planet. Bayer didn’t say whether his company has locked down any industry partners, like Memphis Meats or New Age Meats. Unless Ecovative plans to market its own fake meat, that’ll be a key step to getting their food into hungry mouths.